The Central African Republic (CAR) has seen decades of fractured peacebuilding processes. After holding elections in 2016, the country can seize the opportunity to reach sustainable peace. 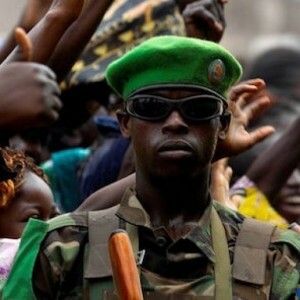 This policy brief looks at the role played by the African Union in supporting CAR’s peacebuilding and post-conflict reconstruction and development processes; and identifies ways for the continental body to enhance its engagements. Gustavo de Carvalho is a senior researcher in the Peace Operations and Peacebuilding Division of the ISS. Gustavo has extensive experience in capacity development, policy support and research initiatives in the peacebuilding field in Africa. From 2009 to 2014 he worked at ACCORD as an analyst in its Training for Peace programme, and later as coordinator of its Peacebuilding Unit. Gustavo holds a BA in international Relations from the University of Brasilia, and an MSc in African Studies from the University of Oxford. Amanda Lucey is a senior researcher in the Peace Operations and Peacebuilding Division of the ISS. Her areas of focus include peacebuilding, south-south cooperation and South African foreign policy. Amanda worked with MONUSCO as a political affairs officer in the Democratic Republic of the Congo and previously worked with the UNDP in South Sudan as a rule of law officer. She holds an MPhil in Justice and Transformation from the University of Cape Town.